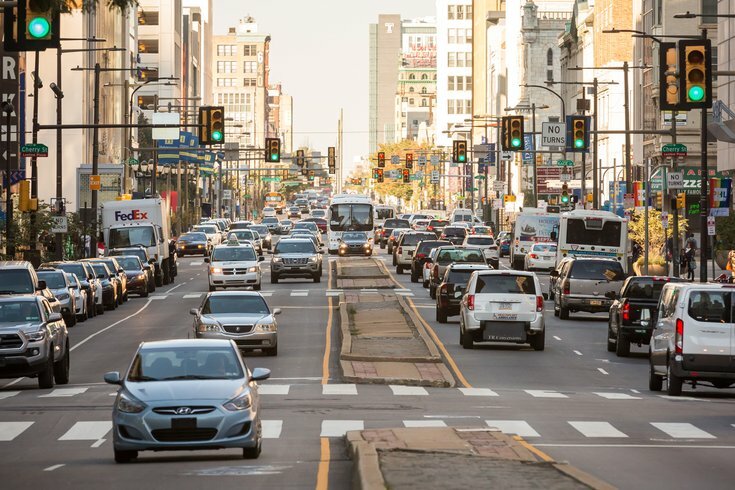 The evening commute on North Broad Street in Philadelphia. Looking for a new job in 2018? There are three Philadelphia-area businesses that employees rank among the best gigs in the U.S. and Europe. Glassdoor released its Best Places to Work in 2018 Employees’ Choice Awards, marking the 10th anniversary of the site’s feedback-based rankings. This year the Philadelphia area had three companies highlighted on the list, one of which beat out big-name companies – such as LinkedIn, Nike, and Apple – and nearly cracked the list's top 10. How did a Philly-area company rise to Glassdoor’s top 10? Coming in at No. 11 was software company SAP, which has its North American headquarters in Newtown Square, Delaware County. The company’s ranking this year is a jump from No. 14 in 2017, and employee reviews describe it as “a great place for millennials.” The company has also been lauded for its comparatively generous maternity and paternity leave options for new parents. Browse job openings at SAP here. Not far from SAP on the list is Power Home Remodeling, headquartered in Chester, Delaware County, which ranked No. 16. Power Home Remodeling, like SAP, also has been celebrated for its happy millennials, and offers above-average health coverage, according to Glassdoor reviewers. And the company’s CEOs placed at No. 14 and No. 25 on Glassdoor’s Highest Rated CEOs list. Find job openings at Power Home Remodeling here. At the very end of the list, at No. 100, is Philly-based BAYADA Home Health Care, making its first appearance on the annual ranking. BAYADA CEO J. Mark Baiada ranked No. 64 on Glassdoor’s CEO ranking. Search BAYADA's current job postings here. Beyond of the Philadelphia companies, Facebook was proclaimed the top company to work for in 2018, marking the social media giant’s first time in the top slot since 2013. Check out the full Employees' Choice list here.